Neil Chatterjee is Sen. Mitch McConnell’s energy adviser, and Rob Powelson is a Pennsylvania utility commissioner. Expect fossil fuels to have their say in federal grid policy. The Federal Energy Regulatory Commission will soon have a quorum again. President Donald Trump has nominated Neil Chatterjee, a long-time adviser to Senate Majority Leader Mitch McConnell (R-KY), and Rob Powelson, a Pennsylvania utility commissioner and strong supporter of natural-gas development, to fill two of three vacant seats at FERC. Pending U.S. Senate approval, the two men will restore the agency's power to rule on matters ranging from natural gas and transmission policy to how large-scale wind and solar are valued in interstate grid markets. Powelson, who has served on the Pennsylvania Public Utility Commission since 2008, has criticized states like Maryland that have proposed bans on fracking, and has called the Clean Power Plan a “disconnect" between federal and state authority. He also faced blowback in March after saying that pipeline project opponents at a public hearing were members of a “jihad” against energy and economic development -- a comment he quickly apologized for. He was elected chairman of the National Association of Regulatory Utility Commissioners last fall. Chatterjee worked on major energy and environmental policy in the Senate. He led McConnell’s campaign to convince states to oppose the Clean Power Plan, and worked to lift the ban on crude oil exports. He previously worked as a lobbyist for the National Rural Electric Cooperative Association and as an aide to former Rep. Deborah Pryce (R-OH). Natural-gas supporters hailed the nominations. Dave McCurdy, CEO of the American Gas Association, called for a prompt Senate confirmation in order to “allow FERC to continue its important work for the natural gas industry -- including timely decisions on pending and future interstate natural gas infrastructure project certificates." Several pipeline decisions are currently before the commission. Christopher Guith, senior vice president at the U.S. Chamber of Commerce's Institute for 21st Century Energy, called the nominees “phenomenal picks” that will help “move America toward a more secure energy future” on matters ranging from strained competitive markets to crucial energy infrastructure. For climate and clean energy advocates, however, the nominees bring more uncertainty to federal policies that support state greenhouse gas reduction goals, energy efficiency, demand response and renewable energy across most of the country’s electricity market. One big concern is that FERC may take action in support of Energy Secretary Rick Perry's comments on asserting federal rights to protect "baseload" power -- coal and nuclear, mainly -- from any grid imbalances that may be coming from wind and solar power. The Natural Resources Defense Council called on the nominees to continue FERC’s “strong bipartisan tradition of removing electricity market and planning barriers to new energy resources. With wind and solar hitting new output peaks daily, and energy storage coming on strong, FERC-regulated energy markets and planning must continue to evolve to reflect the new reality of a more efficient, cleaner, and affordable grid." FERC has oversight over a wide range of policies that affect how large-scale renewables, demand response and energy storage are integrated and valued as part of the country’s interstate grid markets. Under the Obama administration, FERC, chaired by Jon Wellinghoff, became a source of regulations that helped these fledgling industries get off the ground. That list includes: FERC Order 745, which required ISOs and RTOs to value demand-side resources as an equivalent to power plants; FERC Order 755, which set up programs for “fast-responding” resources such as batteries for frequency regulation; and FERC Order 1000, which has set up a new regime for transmission operators and utilities to plan for, and pay for, regional grid investments. 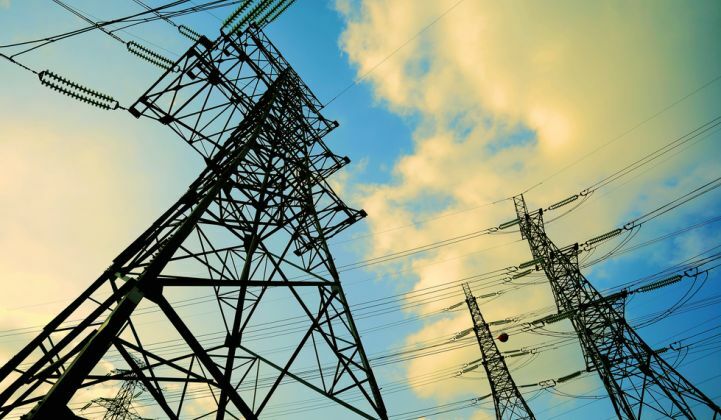 These regulations apply to the regional transmission operators and independent system operators, such as PJM, New York ISO, ISO New England, the Midwest’s MISO and California’s CAISO, that cover about two-thirds of the country. 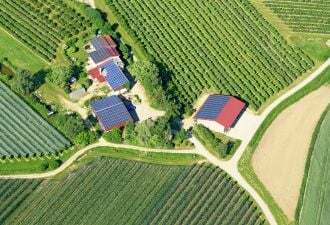 They have helped create new market opportunities and technology incentives, such as fast-responding energy storage for frequency regulation, or the right of states to find markets for wind or solar power across state lines. But these policies have also seen legal challenges from generators who see favorable treatment for green alternatives as unfair price erosion for their coal, nuclear or natural-gas power plants. This legal struggle came to a head with the lawsuit over FERC Order 745, which led to a U.S. Appeals Court ruling that put the entire structure of demand response in ISO and RTO capacity markets into question. The U.S. Supreme Court overturned the lower court’s ruling in a 6-2 decision in January 2016. FERC has lacked a quorum since Commissioner Norman Bay departed in February, after Trump named Cheryl LaFleur to replace him at the head of the commission. Bay was a career prosecutor, while LaFleur, former executive vice president and acting CEO of National Grid USA, hailed from the utility industry. Since then, LaFleur and remaining Commissioner Colette D. Honorable have been holding hearings on subjects such as how state clean energy mandates intersect with markets, but have also postponed rulings while they await nominee confirmations. The Trump administration’s slowness in naming replacements has been criticized by parties on both sides of the clean energy debate. Honorable has said she will not seek another term on the commission after her current term expires in June, although she may stay on until her replacement is named. Kevin McIntyre, an energy attorney at law firm Jones Day, has been floated as the likely candidate to replace her, adding a fourth pro-utility member to the commission.